If you live with venous insufficiency and vein problems that you have not sought treatment for you may be asking for trouble if you are traveling for extended periods of time, especially in cramped spaces or at high altitudes. Varicose veins present more than an inconvenience that won’t allow you to wear short skirts or bikinis fashionably, they can be painful and cause aches, swelling, and even pain. The level of discomfort experienced can range from mildly annoying to unbearable. Traveling puts you into a stagnant position of immobility. No matter if you are traveling by car, train, bus or airplane the amount of room you have to move is limited. The amount of time you have to stand, stretch and walk is also limited. 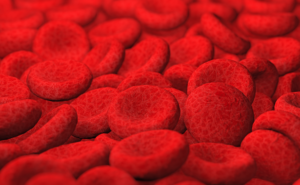 Your body is forced to try and pump blood with no help of the natural movement of walking. This is tiring on a healthy body. When done with a body that has pathways that are already in distress containing veins with valves that are collapsed it can become impossible. This lack of blood flow can cause clotting. When a clot forms in a deep vein it can cause what is known as a deep vein thrombosis or a DVT. Clusters of blood are dangerous as they block blood flow. It can lead to a cut off of circulation to that area in a leg or foot and if it breaks free and travels through the circulatory system, it can end up in the heart and cause a heart attack, in the lungs and cause a pulmonary embolism or in the brain and lead to a stroke. Here are some helpful tips to prevent a blood clot if you know you are sitting for a long time. Try to stretch your legs as frequently as you can. Stay hydrated. Drink plenty of water and avoid alcohol. Perform calf raises while seated. Get up and walk as possible. Make sure nothing is pressing down on your legs. There are plenty of options to reduce your risk of developing a clot while traveling. If you think you may be at risk of developing a clot speak with Dr. Zuzga at West Florida Vein Center today to discuss what preventative measures are right for you. To schedule an appointment, call 727-712-3233. www.westfloridaveincenter.com.